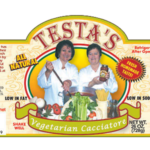 Check out using the PayPal Cart button or Subscribe Monthly. There is an option to pay with any credit card if you don’t have a PayPal account. 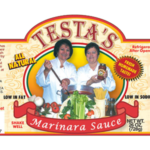 What Makes Testa's Sauces the Best Taste for Your Value? 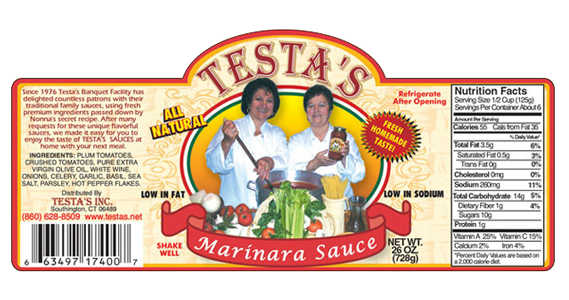 Made right in Southington, Connecticut using the finest ingredients, Testa’s Sauce is sure to remind you of the Italian traditions you have come to love. Being a small business, we know how important it is for our economy to buy at a local level. 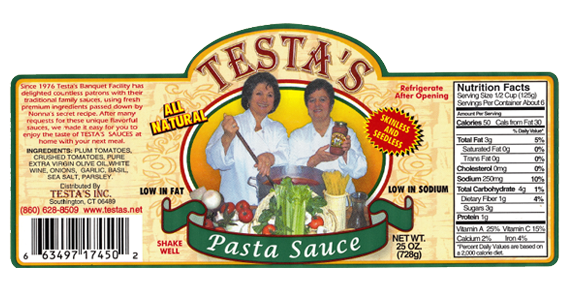 Did you now that our jars of our regular Pasta Sauce is Skinless & Seedless? All other flavors/varieties may contain skins and seeds. 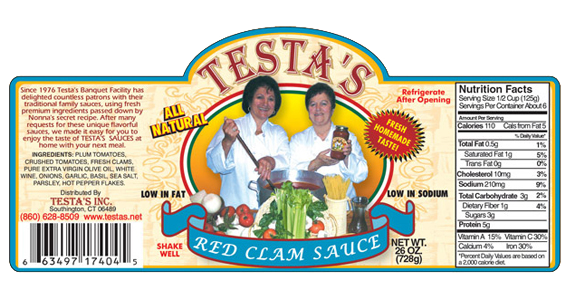 We only use the finest ingredients to produce our sauce. 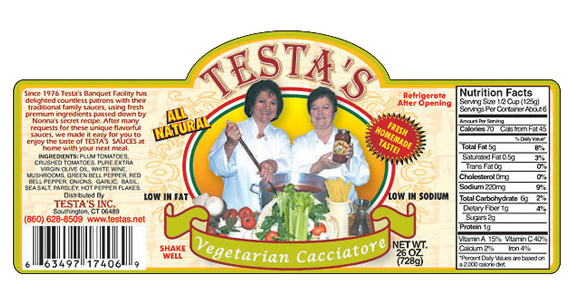 Our all natural sauce is low in fat, no cholesterol, and a minimal percentage of sodium. Another advantage is that our Pasta Sauce is the only seedless sauce on the market! We invite you to experience the authentic taste of an original old world classic in sauce-making with Testa’s Homestyle Sauces!